Twice a year, Rev. Steve Curtis from the Living Water Church in Harrison Arkansas holds a Crusade in San Pedro Sula, Honduras. 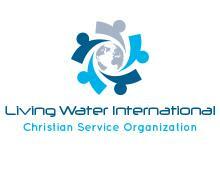 Living Water International Ministries, Inc. is a sponsor of this annual event. In February, 2010, over 1000 people attended including women and children. Many people were saved, healed and delivered.